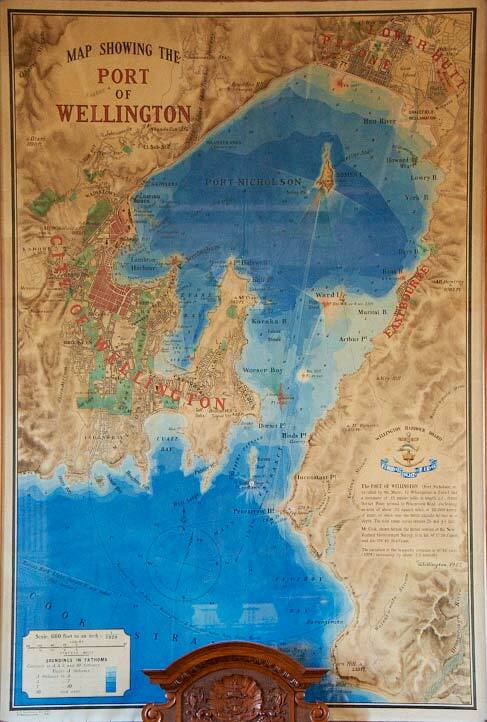 This beautiful map of Wellington can be found inside the Museum of Wellington City & Sea. A true hidden gem amongst Wellington’s many attractions. Well worth a visit. Good to see you made it to Museum of Wellington City & Sea. We have recently had this beautiful hand painted map photographed for re-production, available by order through our website in postcard and soon to be poster formats. Hope to see you back at the Museum soon to photograph more of our treasures! The front of house team at Museum of Wellington City & Sea.